Dundee United's Stewart Murdoch is relieved to have secure a play-off place but he knows that nothing less than second spot can meet expectations now. United ensured a top-four spot in the Ladbrokes Championship last weekend with a draw against Ayr but they are a point and nine goals worse off than second-placed Falkirk with three games left. 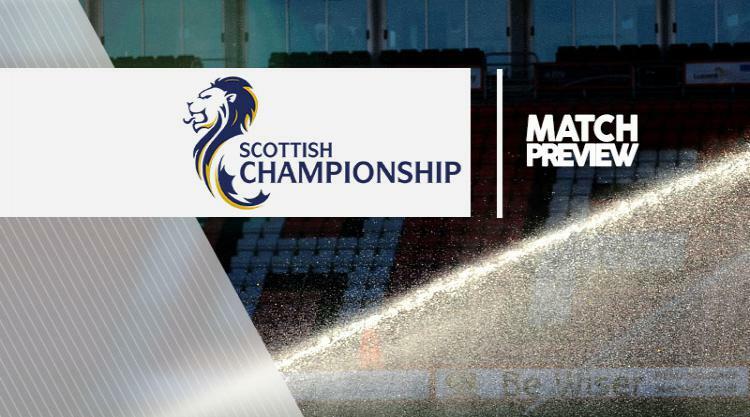 United host in-form St Mirren on Saturday while Falkirk travel to Dunfermline and Murdoch knows the pressure is on his side to give themselves a free week at the start of the play-offs. The midfielder, who has been playing at right-back in recent weeks, said: "It was a bit of a relief because it's been the aim for the last few weeks, since we felt that winning the league was maybe out of touch. "Now we really go and try and push for second place. It was expected of us and we have to push on for the other one. "There was a pressure on us at the start of the season that either ourselves or Hibs would win the league and whoever didn't would finish second. There is still pressure from the fans and ourselves that we finish second and have less games. "Looking back over previous seasons and seeing the way play-offs have gone for teams who have had to play extra games, we saw last year Falkirk in the last game, it was almost like a game too much. "There is a possibility that playing the extra game can have that effect on you. "But once you go into it, whether you play the extra game or not, there's a lot of adrenaline there and everything like that. "Ideally you want to play one less but if it comes down to it then you have to roll the sleeves up." St Mirren's only defeat in their last eight games came against United in the Irn-Bru Cup final, and they have risen out of the bottom two. "They have got confidence with them," Murdoch said. "There is also that at the back of their mind that last time we played them we won 2-1. It's one for us to look forward to and I'm sure it will be a really competitive game." Elsehwere, Morton are looking to remove any doubts about their play-off place when they host bottom club Ayr. Jim Duffy's side are eight points ahead of Dunermline and Queen of the South, who host Dumbarton.